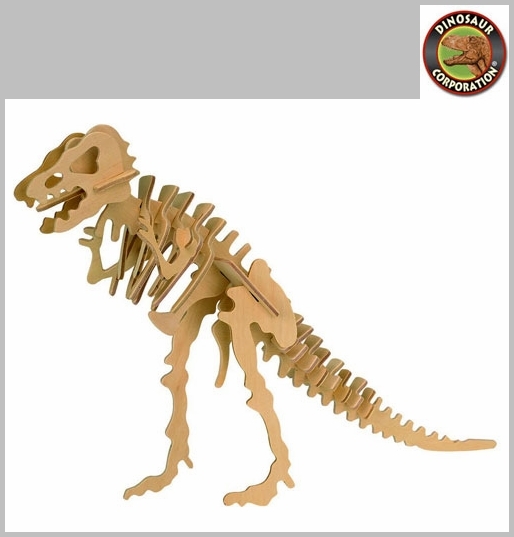 Home | MODELS, KITS | WOOD SKELETONS | Dinosaur Woodcraft Model T-rex Bones Skeleton Kit 14"
Dinosaur Woodcraft Model T-rex Skeleton Kit 14"
Dinosaur Wood Model. 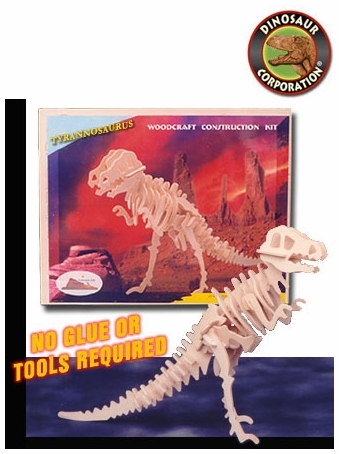 T-rex Woodcraft Skeleton Kit. High grade 3mm wood puzzles come individually shrink-wrapped with instructions & sandpaper included. Pop out the pieces and go! Painted or left as natural wood, it is a challenging, educational and creative activity for all ages. Start your collection today! Apatosaurus Woodcraft Dinosaur Skeleton Puzzle Kit, 14"